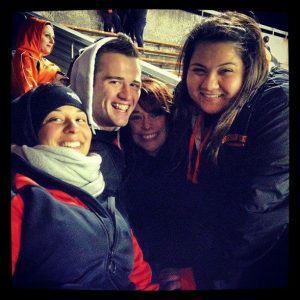 Being an OSU Honors college student from a low-income family, with a FAFSA EFC of $0, came with a unique set of challenges. 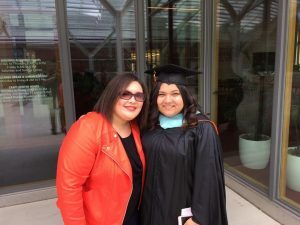 Even with earning high grades that helped me get scholarships, working two work-study jobs, and going to every free event where food was provided that I could – I still needed more help to ensure my basic needs were met. I had heard of the Supplemental Nutrition Assistance Program (SNAP) benefits available but had no idea if I would qualify or how to complete the application, so I postponed really looking into it out of fear. I even sacrificed eating regularly and didn’t always buy required textbooks to afford food and avoid accessing this resource. The idea of needing SNAP (which used to be called Food Stamps) was just really hard for me to come to grips with. I spent hours trying to convince myself I didn’t really need it, that I’d be okay. I remember my roommate offering me food and asking if I’d go out with her to dinner and even offering to pay for my meals so we could hangout (food was a huge source of community!). I finally recognized that it was time to stop letting my pride get in my way and learn how to apply for SNAP benefits and accept that I really did need this service. So, I applied online and hoped for the best. I was in my bedroom when the phone rang for the follow-up call to my application for SNAP benefits, and my heart was racing. I had no idea what to say (or not say). I didn’t know what they were looking for or what the rules were for eligibility. I was working on campus, so did that mean I wouldn’t qualify for the program? 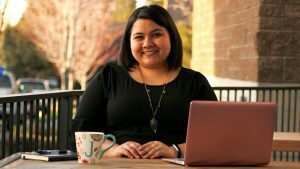 I earned scholarships that helped with my tuition, did that mean I “made too much” for help? I was just hoping that my situation would be “good enough” for their program. Looking back, I wish I had accepted support more readily. I was so nervous for that call and had no clarity on what to expect. Knowing now that there are resources for OSU students that are seeking SNAP benefits makes me so happy! If I had been more open to support back then, I definitely would have reached out to learn more about what the process would be like so it didn’t take up so much mental energy to prepare for. After going through what ended up being a pretty brief interview, I was granted the full amount of food benefits possible, I was SHOCKED! It would have taken me an extra 25-30 hours a month of work to earn those same dollars for food. SNAP benefits helped me to regularly have food at home, and provided me with a sense of stability that I couldn’t have achieved on my own while balancing going to lectures and labs, doing homework, working, sleeping, exercising, preparing for my career through internships, and trying to spend time with my friends and family. I used to be too fearful to use the HSRC resources. I never even went in to see the space or meet the people who worked there until I had been at OSU for two full years. When I did finally go in, I met welcoming and friendly people. 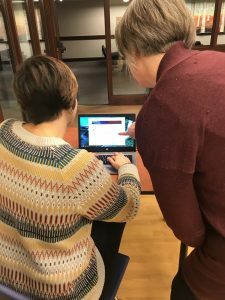 I learned about all the resources available to students like the textbook lending program, the food pantry, and comfortable, safe spaces to spend time and meet new friends. I decided right then and there that I was a forever advocate and supporter of the HSRC. 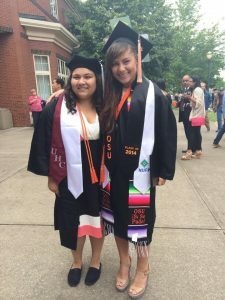 After graduating from OSU with my honors bachelor’s degree in psychology, I went on to earn my masters of education in college student services administration and now serve as an academic counselor for a program that supports first-generation and low-income students, just like I was. I no longer need the support of SNAP, but am so thankful that I utilized that program when I needed it because it is one of the many support systems I needed to get me to where I am today. Now as an academic counselor, I tell all of my fellow academic counselors and advisors about the resources available at the HSRC and encourage them to make referrals to their students. As part of the training our staff of academic counselors did, we went and visited the new HSRC space in Champinefu Lodge and we all were delightfully greeted by a home-y, comfortable, welcoming space. 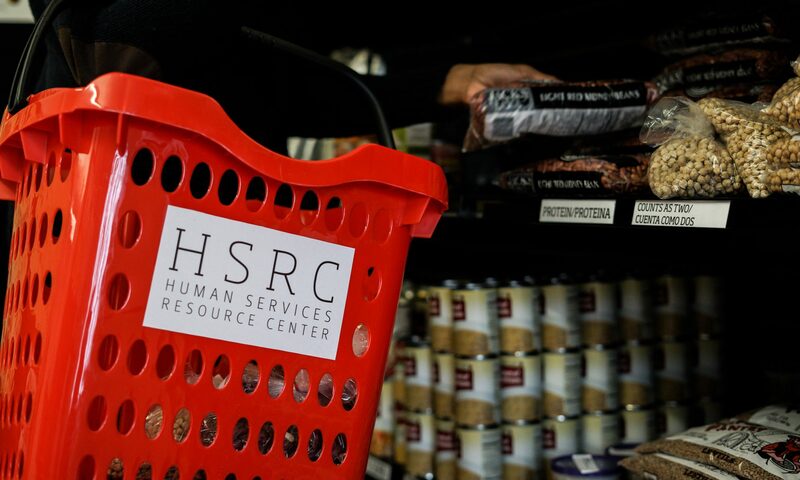 If you or someone you love is an OSU student with questions about how the HSRC can help you, what SNAP benefits are and if you qualify, or want to connect with other people who might be able to understand your situation and support you, I encourage you to contact the HSRC.